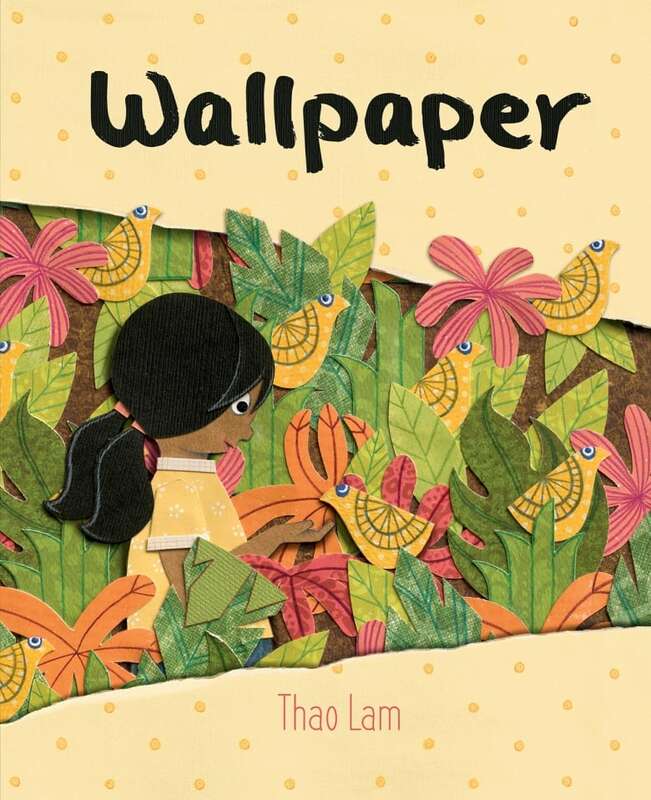 Thao Lam's Wallpaper is the story of a shy little girl who discovers a fantasy world behind the wallpaper in her new house. New from the creator of Skunk on a String comes Wallpaper, a wordless picture book in Thao Lam's signature paper collage style. It tells the story of a young girl whose family moves into a new house. Outside, she can hear other kids playing, but she's too shy to say hello. So she picks at the old wallpaper in her room ― revealing an entryway to a fantastic imaginary adventure world behind the walls.